When school lets out for the day, kids' stomachs start to rumble. Try one of these after school snack recipes to perk up your children for afternoon activities. Often it can be many hours between lunch at school and dinner at home. These easy after school snack copycat recipes will keep your kids energized before dinnertime hits. Recreate some of your favorite brand name snacks without going over your food budget. Granola bars, crackers, and fruit snacks can all be easily produced in your own kitchen with these 9 easy after school snack copycat recipes. All of these tasty snack recipes will keep your kids focused and energized throughout the day! These snack recipes are great for bringing to after school activities or to sport practices. Granola bar recipes can be individually wrapped and packed for eating later in the day. Chewy S'mores Granola Bars This after school snack copycat recipe features marshmallows and chocolate chips. No child will be able to resist! Copycat Kashi Granola Bars This is one of the most popular granola bar recipes out there. The classic combination of raisins and oats will satisfy your child's hunger. 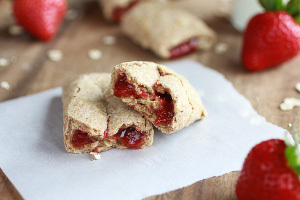 Make Your Own Strawberry Nutri Grain Bars These snack bars meld the tastiness of oats with the sweetness of fruit filling to create the ultimate after school snack copycat recipe. Copycat Little Debbie Oatmeal Cream Pies - This is pure comfort food from your childhood days. They're even better homemade! Teaching your kids about healthy snack eating early in life will help them develop good habits for later in life. These healthy after school copycat snack recipes will delight children without overloading them with sugar and fat. Homemade Baked Kale Chips - Throw out that awful junk food! This snack is healthy AND delicious. 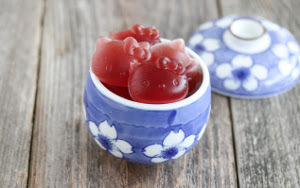 Homemade Healthy Fruit Snacks - Fruit snacks are always a favorite snack amongst children. This healthy fruit snack recipe is made just from juice and gelatin, eliminating any non-essential preservatives. Homemade Berry Newtons - Kids will never know they are eating a healthy treat with this after school snack recipe. The berry filling is a favorite even with picky eaters. The Pioneer Woman's Restaurant Salsa Copycat - This tastes just like what you would buy at a restaurant. Get more great back-to-school dinner ideas here: Summer's Over, It's Back to School: 43 Back to School Recipes for Kids! 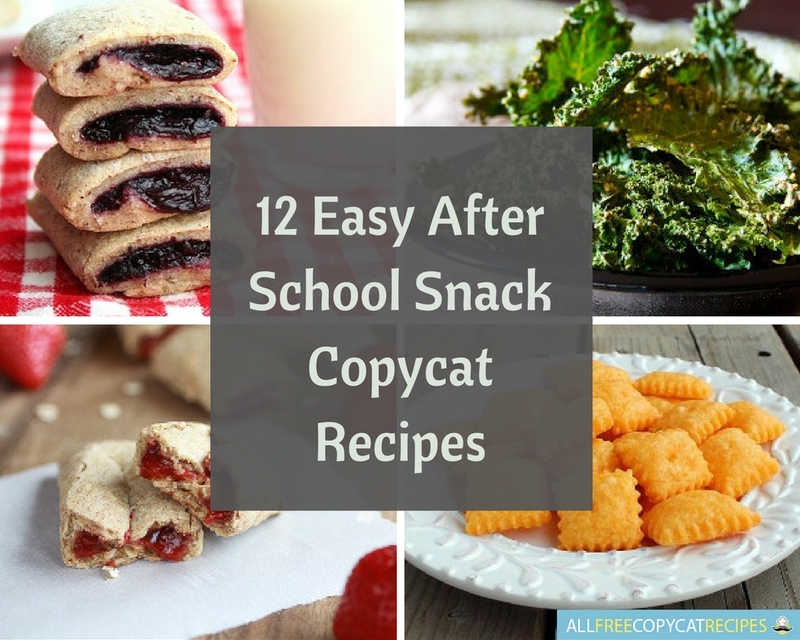 These are some of the simplest after school snack copycat recipes out there. These snack recipes are easy to follow and will have homemade snacks flowing from your kitchen. Copycat Crab Shack Popcorn You do not need to spend half the day making after school snack recipes. This popcorn recipe is quick, easy, and most importantly tasty. Goldfish Crackers Made From Scratch Goldfish crackers are a staple snack with unfailing popularity. This recipe for Goldfish Crackers Made From Scratch will taste just like the snack food generations have been raised on. Homemade Cheez-Its This classic snack food has been around for ages, but many people are just realizing how easy it is to replicate the cheesiness at home. 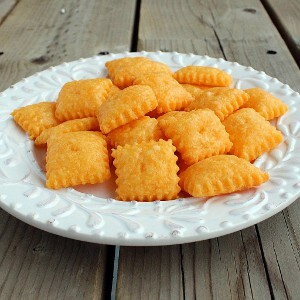 This Homemade Cheez-Its recipe is simple to make and more simple to get kids to eat after school. Homemade Pepperoni Hot Pockets - These hot pocket copycats are really easy to make, and they're delicious, too! Just don't forget to wait for them to cool first. What do your kids like to eat after school? Really excited to try some new recipes for after school treats. Love these ideas. I think my kids will too.